Google+ Plus social network service (at plus.google.com) is getting all the praise for its functionality as well as very neat user interface. If you are one of many people who love the look of Google+ Plus website, then here are few ways to relish that look even when not using Google+ service. Checkout cool collection of download-able Google+ Plus goodies including: Google Chrome themes, Windows 7 theme, WordPress blog themes to render design and look of Google+ Plus. 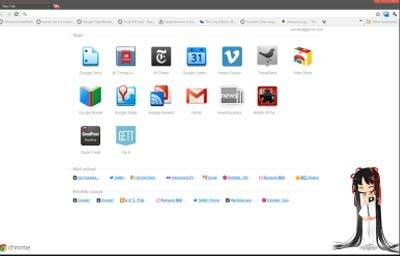 Give Google Chrome browser look of Google+ user interface by using free Google+ Plus themes for Google Chrome web browser. These themes change color and look of menu bar and browsing window of Chrome resembling to that of Google+ Plus website. Google Plus theme inspired [Not available, chrome.google.com/webstore/detail/ogdjjnohgopniahihkllpljalpillklb]- This Google+ theme for Chrome browser is inspired from Google Plus website. Of course, it is an unofficial theme but looks very cool. GPlus Chrome theme – It has more darker hue to the overal look trying to mimic user interface of Google+ Plus website. It utilizes the same colors as Google+ to give you a seamless fit when using the social space. G+ Tan theme – It is another Google Chrome theme with darker menu bars to resemble look of Google+ plus website. It has prominent Mascot ‘Google Plus Tan’ Designed by Catfish at the bottom right part. To install either of above theme, click install button located on theme download webpage. 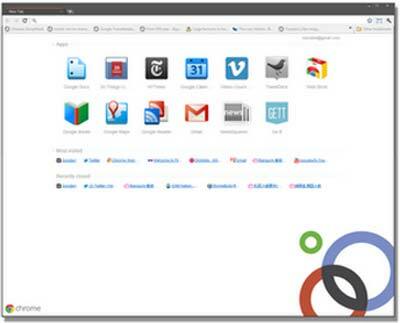 Google Chrome will automatically download, install and apply new theme look to Chrome browser. 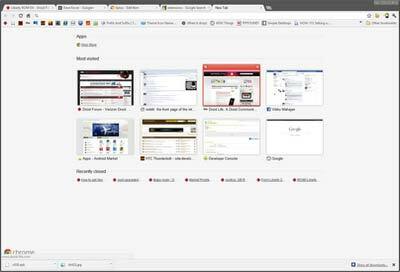 If you want to get back to default Chrome theme look, just click Wrench icon at top right and then goto Options. Click ‘Personal Stuff’ tab on left side and then click ‘Reset to default theme’ option at the bottom. Google+ Windows 7 theme feature 8 cool looking Google+ Plus wallpapers. Change your Windows 7 default blue look into blackish dark Google+ Plus look with stunning background wallpapers. This theme for sure gives nice makeover to your Windows 7 desktop. 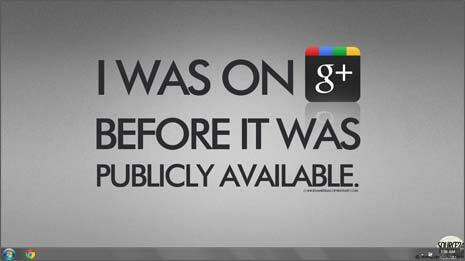 Worth a download and use, if you love to have feel of Google+ while working on Windows 7 PC (even when not using Google+ service). 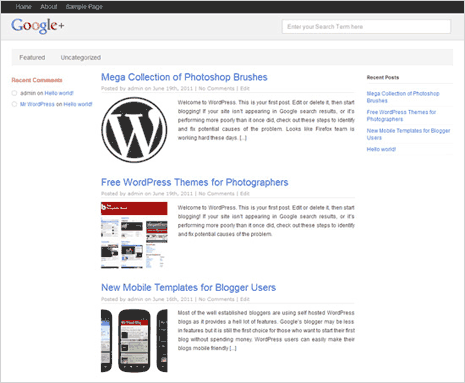 If you run a WordPress.org powered blog, then you can easily give your blog Google+ user interface look through free Google+ like WordPress theme. WP Plus theme by TricksDaddy has simple and neat layout similar to that of Google+ website. 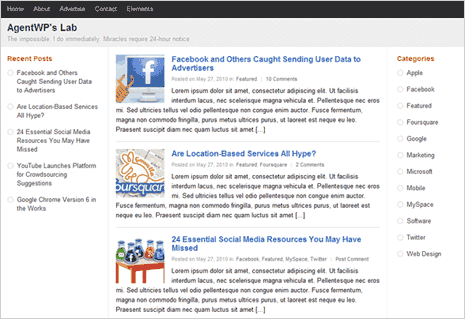 It is a 3 column theme with middle content area and two sidebars on either side. Plus One theme by Hacktrix is another free WordPress theme with resemblance to Google+ website design. This theme only use three colors and allows easy customization of image thumbnail sizes. So, if you are writing WordPress blog related to Google+ tips and tricks – then using either of above cool looking WordPress themes should a good idea. Besides similar to Google+ Plus interface, these themes are neat and fast loading – which basic requirement of any blog theme. You can also give Gmail inbox, the Google+ Plus look. Google has added two new themes to Gmail with look and feel of Google+ service. You can easily switch to new Google+ theme in Gmail and check, read, send emails in subtle looking white and grey interface of Gmail inbox. google plus chrome theme is nice, thanks.